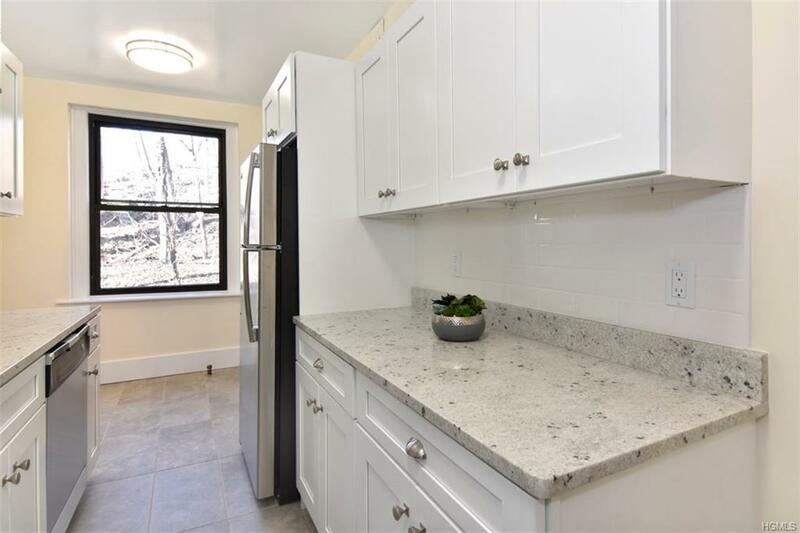 Wonderful two bedroom, one bath co-op at Hartsdale Gardens. 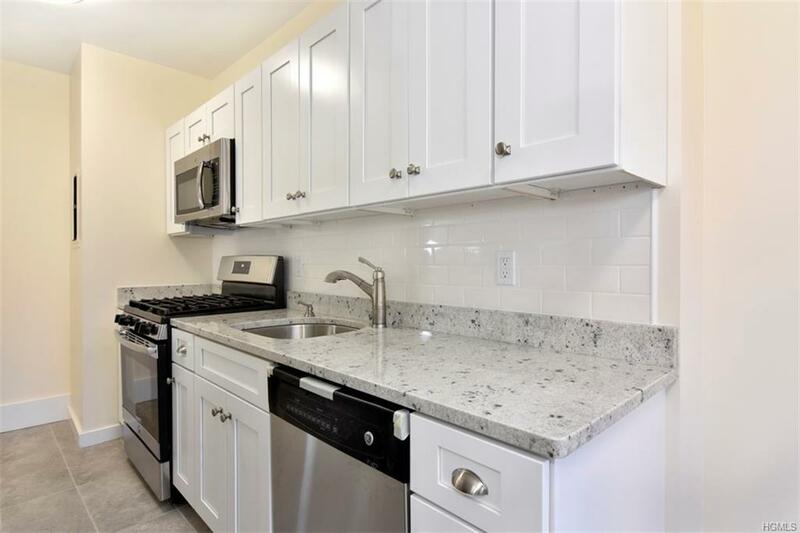 This newly renovated unit includes refinished dark hardwood floors, recessed lighting throughout, a newly updated eat-in-kitchen with granite counter tops, white subway tile back splash and new stainless steel appliances that include a dishwasher, microwave, range and refrigerator. The oversized living room has refinished parquet floors. The large bathroom has been completely updated . 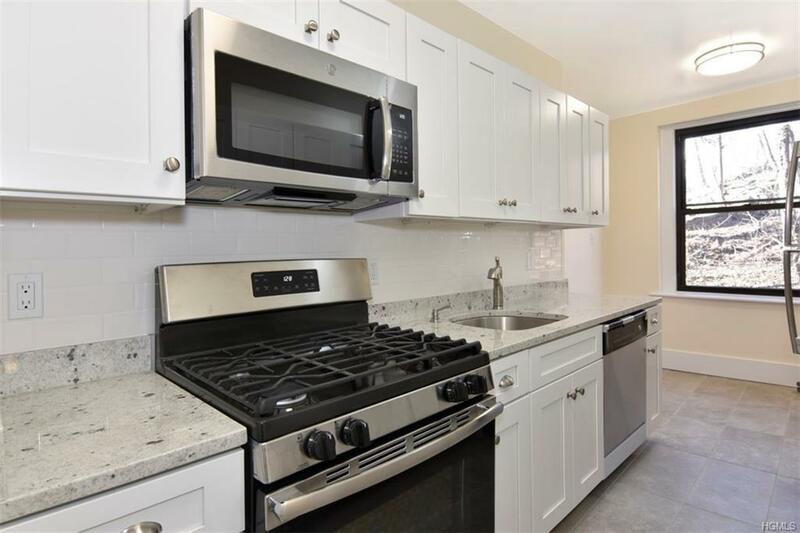 Both bedrooms are generously proportioned and have great closet space. The unit comes with a guaranteed outdoor parking spot. 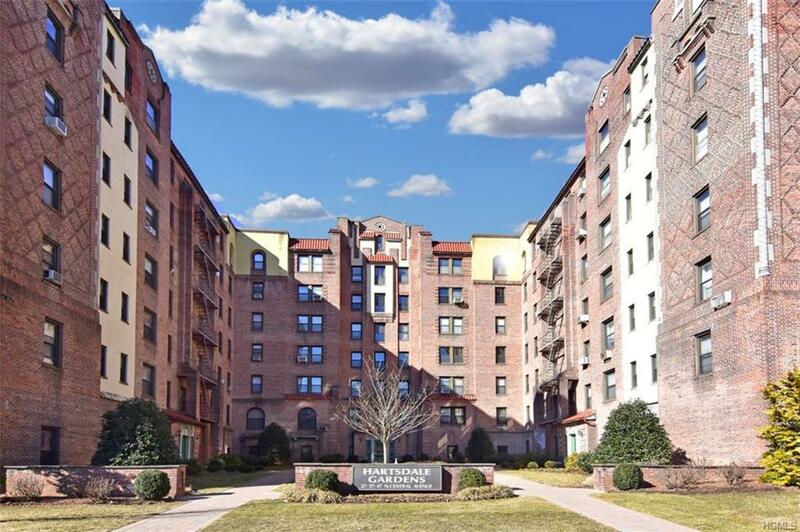 Hartsdale Gardens has an on-site playground, basketball court, BBQ/picnic area and is an easy walk to the Hartsdale village and train station with only 35 minute ride to GCT.